I decided to do a book review – a video book review! The book is Tamara Lackey’s “The Art of Children’s Portrait Photography.” I enjoyed the book very much, she does a really good job with it. The review video is just some of my thoughts, what I liked and thought could have been better! 🙂 I think we should always be reading and watching what other photographers are doing so that we can eventually develop our own style. I liken it to learning to play the piano. When you first start out, you learn songs that other people wrote. With much practice, you may even write your own stuff someday. Same goes for photography. See what awesome photographers are up to, what you like and don’t like, then make it your own! Have fun! 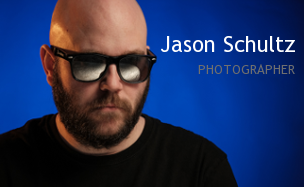 This entry was posted on February 13, 2011 by schultzphotographic. It was filed under Book Review and was tagged with Art, Book Review, Children's Portrait, Lackey, Photography, Tamara.